Size: 10 ft., 8 in. x 13 ft. x 6 ft., 8 in. Use of anchor kit is recommended. 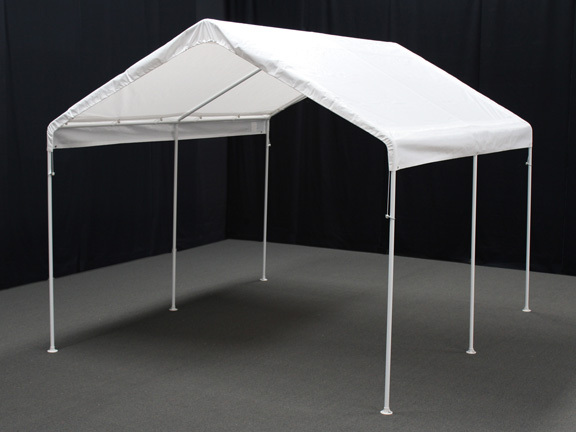 Whether you need some cover for a recreational vehicle or are planning a picnic, you won't find a product much better than this King Canopy 10 x 13 Universal Outdoor Canopy Shelter. To some extent that has to do with the versatility this model offers, and in an equally important sense it's a function of the affordability you get from this shelter. Read below to find out where those two factors meet in terms of presenting a convenient, cost-effective package for many shoppers. First of all, you're looking at a 10 x 13 shelter that is effective either for housing outdoor equipment or for putting a picnic table underneath at a party or tailgate. The 1-3/8 in. 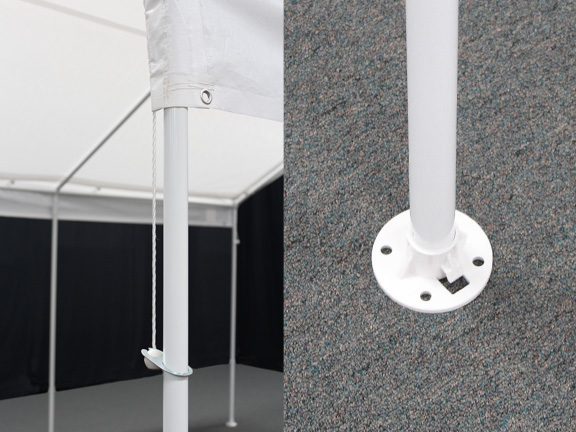 white powder-coated frame offers tons of support and moisture and rust-resistance, and the 6-leg design provides lots of points of contact with the ground to create maximum stability. 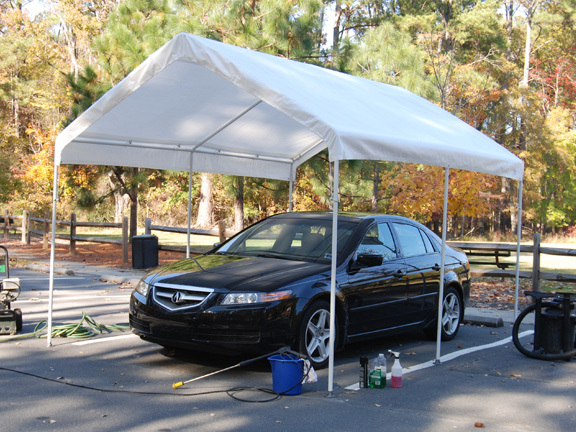 The waterproof polyethylene cover will also give you or your vehicles plenty of protection. It keeps out the rain and debris that can spoil a vehicle's finish or the whole point of having a picnic. In other words, whatever's underneath the cover will be well taken care of. Versatility of function and quality of construction are what set this product apart. Both of those, along with getting everything you need for less. 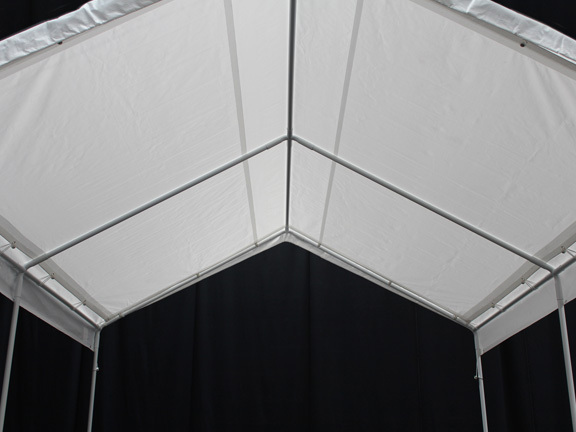 For those of you looking for a lot of shelter for way less money than you'd expect, the King Canopy 10 x 13 Universal Outdoor Canopy Shelter may be the perfect choice. 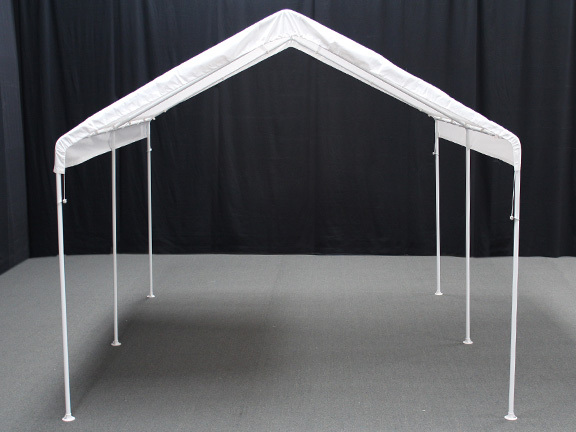 Looking for an easy way to get your King Canopy outdoor shelter from Point A to Point B without breaking your back getting it there? You might very well be in the market for a King Canopy Carry Bag. It makes transportation of your tent easy, and here's how. 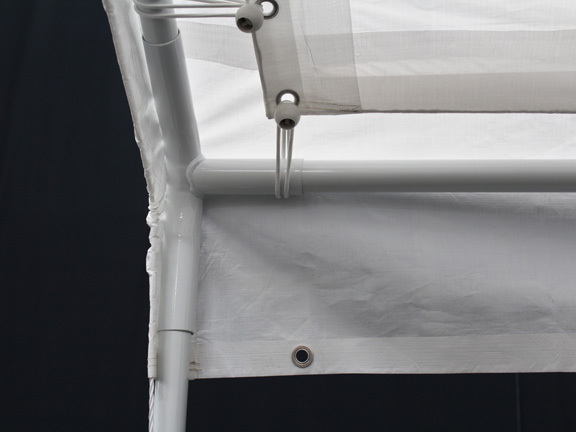 Is there a diagram for this canopy with measurements? Yes, there is a diagram located just beneath the picture on the item page. 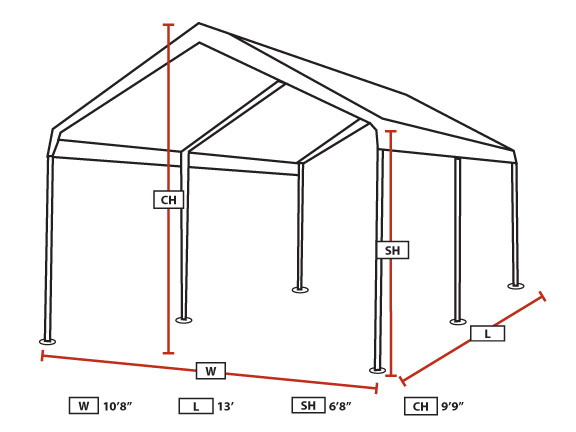 This diagram shows the shelter to be 10'-8" wide at the base, 9'-9"' tall to the peak, 6'-8" tall at the sides and 13' long. I've had canopies that collected water and stretched. Will water roll off this canopy? 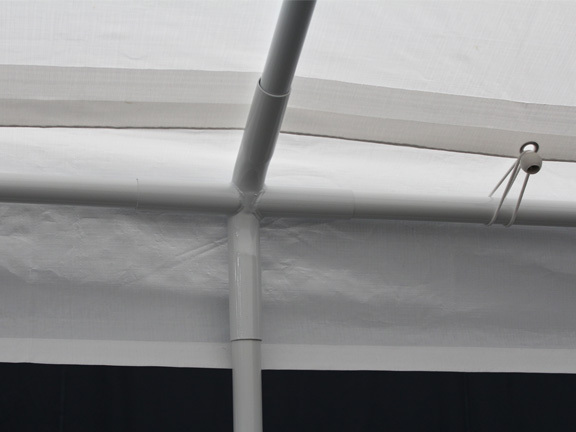 Water will roll off this waterproof polyethylene cover if it is installed properly. The set up was easy even with just two people. ConsWould like to be able to choose a different color tarp.